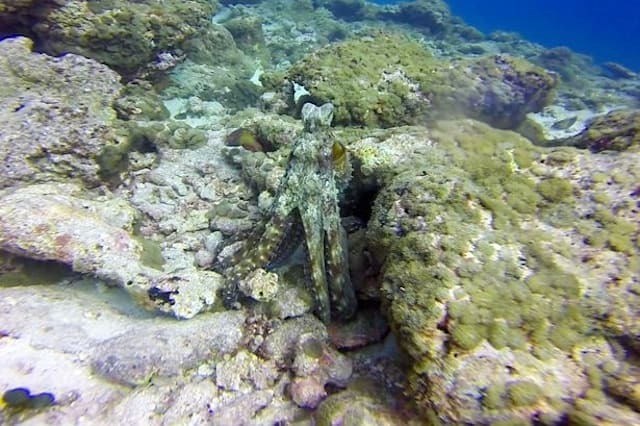 Can you spot the camouflaged octopus on the ocean floor? A snap of a shapeshifting octopus has got people in a tangle trying to spot the camouflaged critter. The colour-changing cephalopod is almost impossible to spot as it hides on the ocean floor off Ari Atoll in the Maldives. 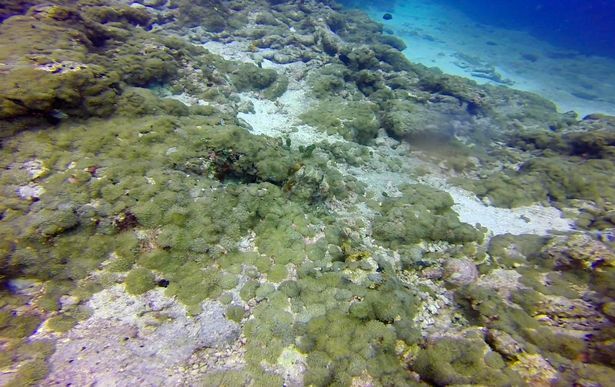 Enda Kesim caught the creature on camera as it hid in the coral before it revealing itself and gliding along the seabed. The animal switches between brown and deep-sea green as it matches its surroundings, making it virtually impossible to see. Diver Enda, from Istanbul, Turkey said: "I've been diving for 10 years and I have never seen anything like this before. "Being able to watch an octopus perform such a show was just amazing. "It was like it was playing a game with me, saying: 'Look at me and look what I can do.'" Enda said octopuses are one of the most elusive sea animals because they usually hide in rock holes. The diver said he tried to stay back to avoid the octopus skirting ink and ruining the shot. He said it was one of the best moments he has ever experienced under the waves.